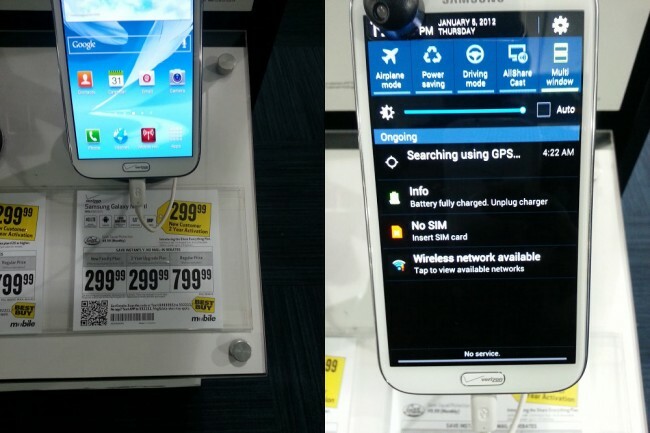 If the Verizon version of the Samsung Galaxy Note 2 is going to be a major part of your future, you may want to cruise into your local Best Buy. 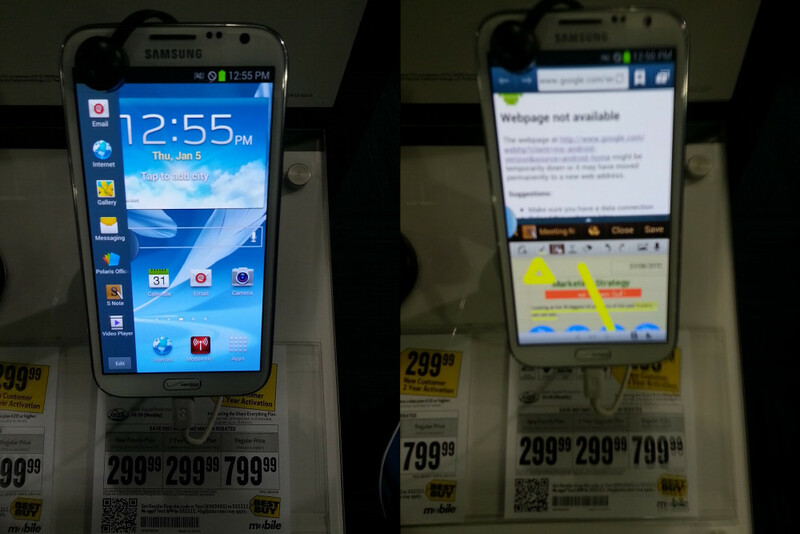 At some stores, the device is already on display, even though we don’t have an official launch date from Big Red. We keep hearing and seeing November 29 as being the day, but again, until VZW says so, we aren’t about to tell you to cut work that day and get in line at your local store. Still, the sooner you get your hands on this phone the better. As we mentioned in our review, the device will take some getting used to because of the size. I, personally, am not a fan of a phone this big, but others find it to be perfect. In fact, 3 million of them have already been sold globally, and we have yet to see all U.S. carriers kick off sales of it. On a related note (pun definitely not intended), the Verizon version in Best Buy stores already has the multi-window feature up and running. Verizon’s own site references the feature, so it’s not like we weren’t expecting to get it, we just weren’t sure if it would be there at launch or not. This certainly gives the impression that it will be there out of the box. Oh, and ignore the $799 full retail price. Best Buy always hikes up their full retail prices, as they only make money off of contracts. Ready for the Note 2 or has the DNA made your choice that much more difficult?